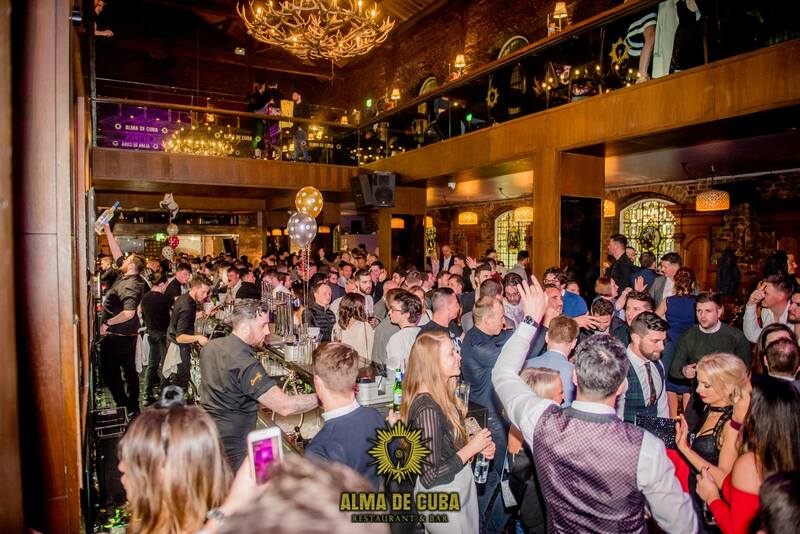 Liverpool’s nightlife is famous around the world for being one of the best scenes in the UK, and Alma de Cuba is a huge part of that. 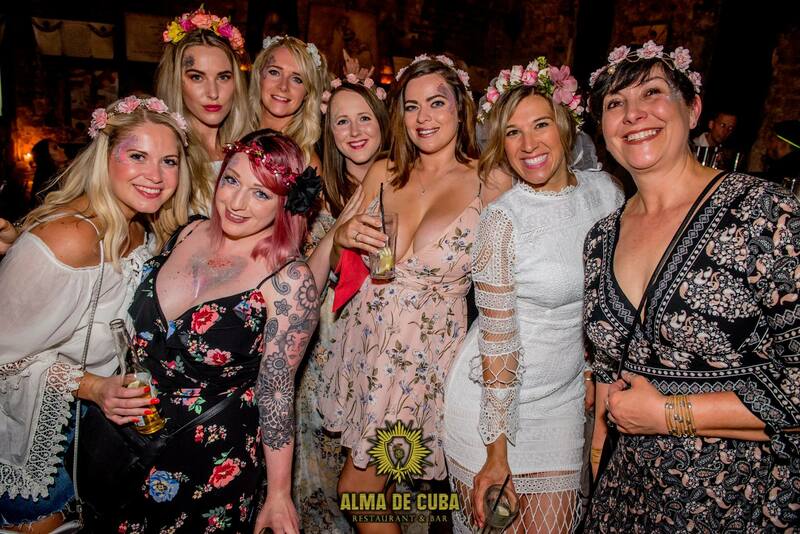 From the famous petal shower, to our vibrant Samba dancers, the expertly mixed cocktails, delicious Cuban inspired food and the dark decadence of Voodoo, Alma de Cuba is at the heart of our city’s buzzing Friday and Saturday nights out. Located on Seel Street, this vibrant bar was once Liverpool’s oldest Catholic Church and is recorded in the National Heritage List for England as a designated Grade II listed building. It’s atmospheric interior still retains some of the original features, including the spectacular alter, magnificent ornate glass windows and a beautiful mezzanine level that is ideal for watching the action of the petal show. So, if you’d like to experience a night out, Alma style, check out some of the best snapshots of an evening in our Latin American inspired bar and restaurant. 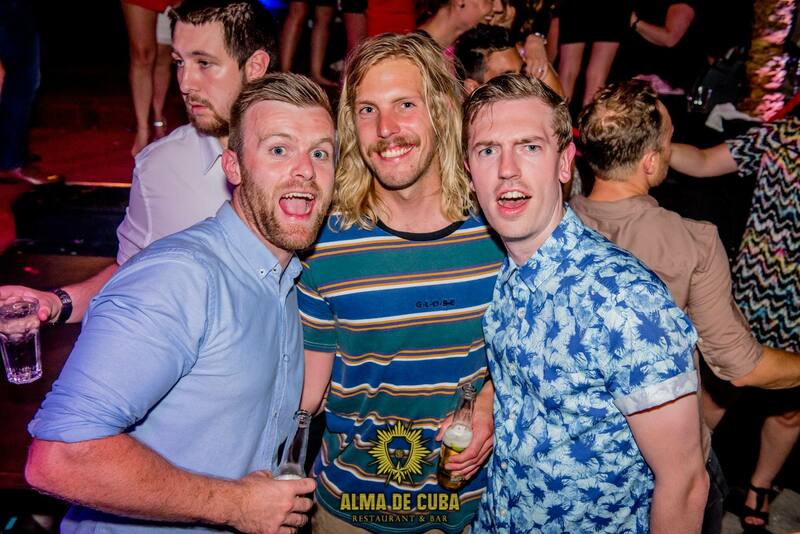 A night out in Liverpool isn’t complete without a visit to ‘The Soul of Cuba’. Our bar is the ideal place to celebrate with your friends, sip on perfectly shaken cocktails, enjoy a delicious meal and party on the dance floor. 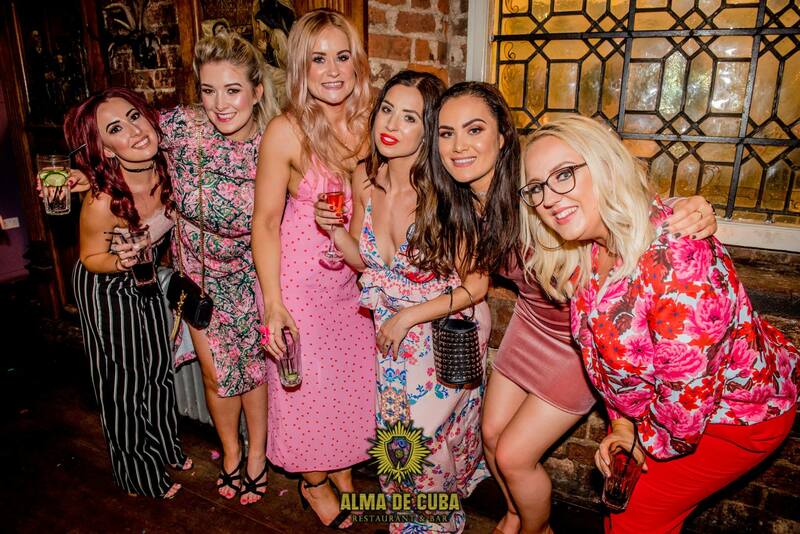 Whether you’re celebrating a hen party, stag do, a special birthday or you and your friends are just looking for a big night out in town, Alma de Cuba is the number one destination. 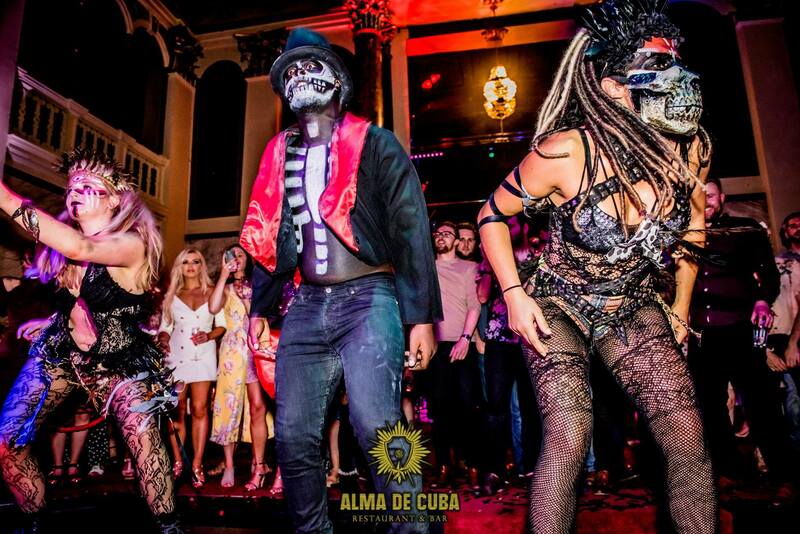 When the clock strikes midnight, Alma de Cuba comes alive with the sound and colour of a Cuban carnival. 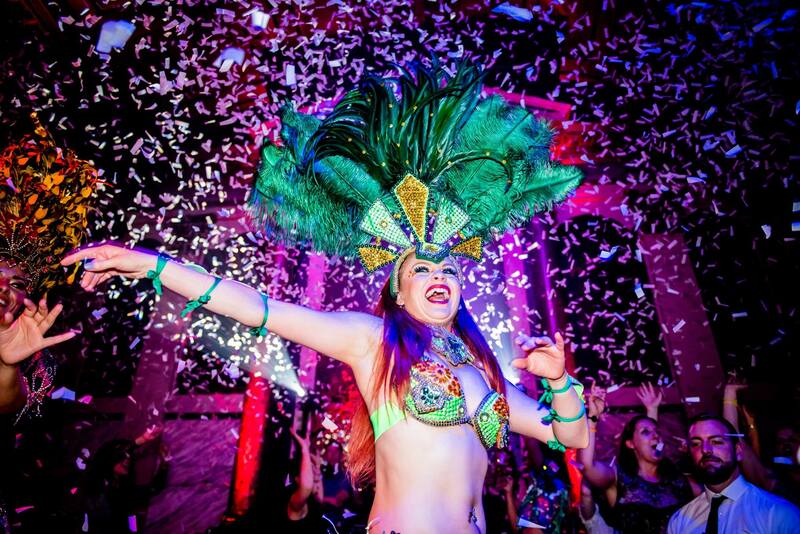 Watch the stage as our talented and beautiful Samba girls strut their stuff, dressed head to toe in feathers, jewels, glitter and sequins, they are sure to catch your eye! So, sip on your drinks and enjoy the spectacular show as the girls dance under the famous shower of petals, to a Latin American inspired soundtrack that is sure to get your feet tapping along. After the petal show is over, the fun doesn’t stop. 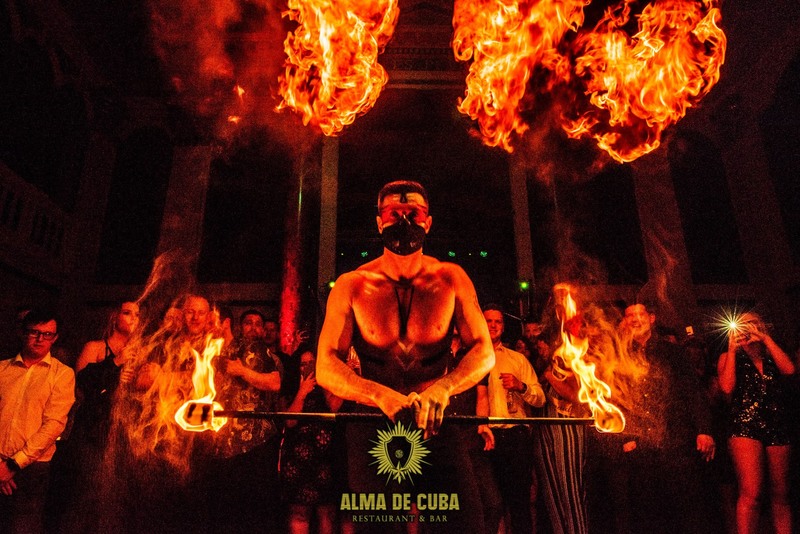 Things turn a bit dark in Alma de Cuba as our amazing Voodoo show begins, listen out for the distant sound of drums as our Katumba drummers emerge from the depths of the re-purposed church. 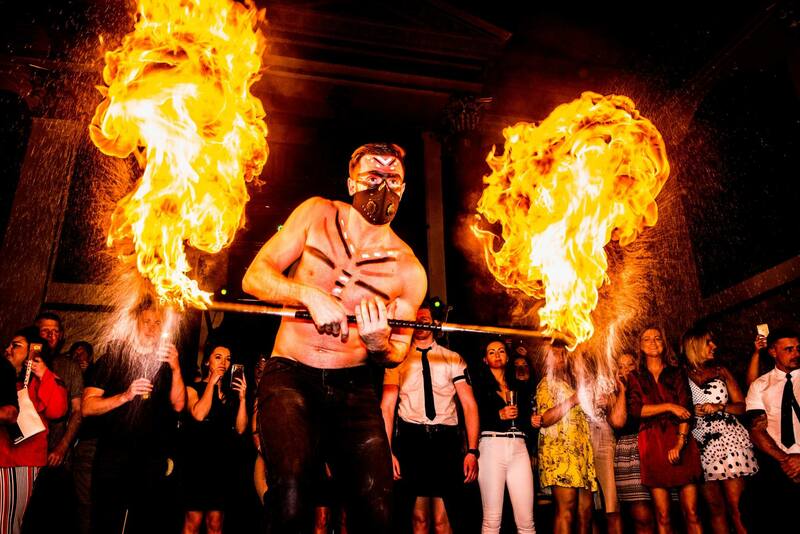 Get ready to meet Dr Darkness as he stalks the stage, surrounded by mysterious fire breathers and mind-blowing contortionists who will be making a special appearance amongst the very special light show. Once Voodoo at Alma de Cuba is in full swing, our resident DJs will be pumping out a specially crafted Voodoo at Alma de Cuba playlist that will keep you on your feet and dancing until the early hours of the morning in a magic trance. 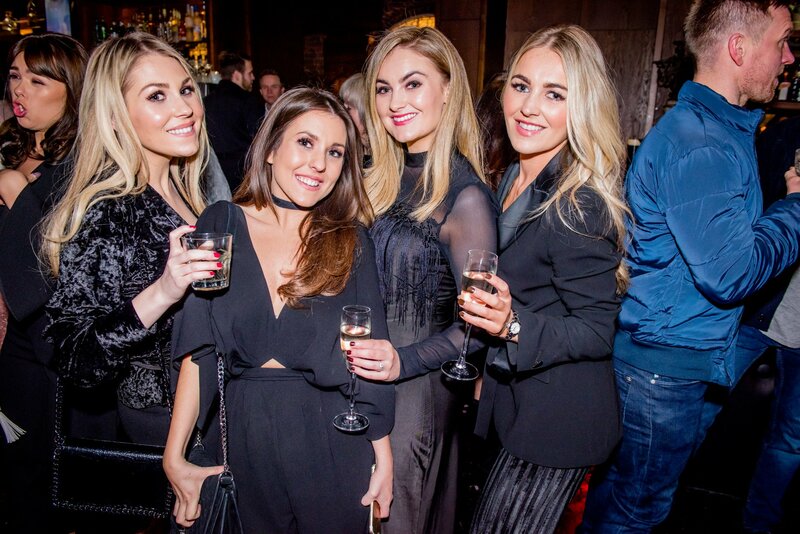 Don’t forget, if you’d like to visit Alma de Cuba on a Friday or Saturday night, why not book a booth for you and your friends and enjoy front row seats to the hottest show in town? 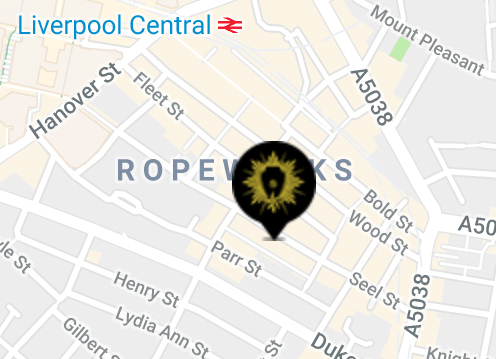 Get in touch with our friendly team today by calling 0151 305 3744 and start planning the ultimate night out in Liverpool.